Netflix has released the trailer for its latest original series, Derek. The half hour comedy stars Ricky Gervais as the title character, the 50-year-old caretaker of a retirement home filled with what are sure to be wacky old people spewing one-liners. Gervais also wrote and directed the series, and though it aired on a UK channel last year, all seven episodes of Season 1 will become available for streaming on September 12. Watch the trailer below. The most notable thing about Derek is that Gervais plays the title character and somehow, he still seems like a genuinely nice guy. It's quite a stretch from the real-life sarcastic Gervais (a.k.a. every celebrity's least favorite Golden Globes host) and the characters he usually portrays. 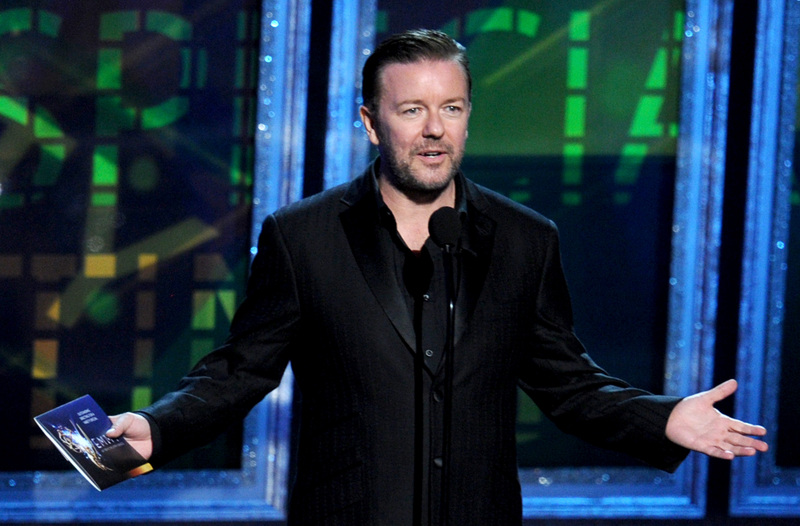 The show also uses a faux-documentary format, the kind that essentially revolutionized television when Gervais created the first iteration of The Office. It's already been renewed for a second season, which is good news for any fans out there. While Derek isn't exactly the next Orange is the New Black, it seems sweet and worth a watch for anyone who wants to see a different side of Gervais. Unless, of course, nice guy Derek becomes another form of snarky satire for Gervais. If that's the case, let us know.